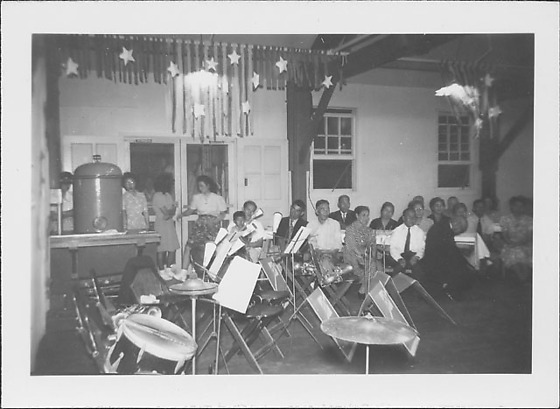 Band instruments and audience at June Serenade in what is probably the mess hall in Rohwer concentration camp, Rohwer, Arkansas, June 2, 1945. Music stands, musical instruments and empty seats sit in foreground. Benches are set at an angle to wall; streamers and stars hang above women standing in doorway.